BRUSH PRAIRIE — There is a football team and a football community. Those on the team know their roles, and those in the community understand their roles, too. It is the team and the community, together, that can make a football season truly memorable. 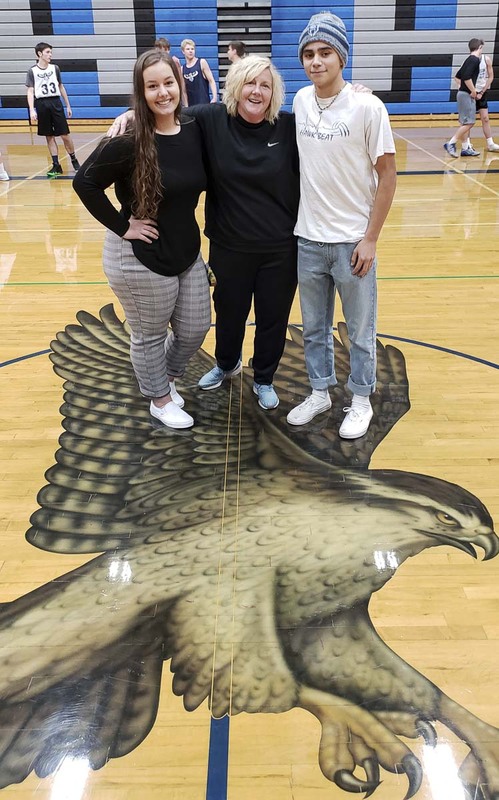 Stephen Weinmuller, a senior at Hockinson, is one of the spirit leaders for his school, the guy who leads all the chants from the student section. 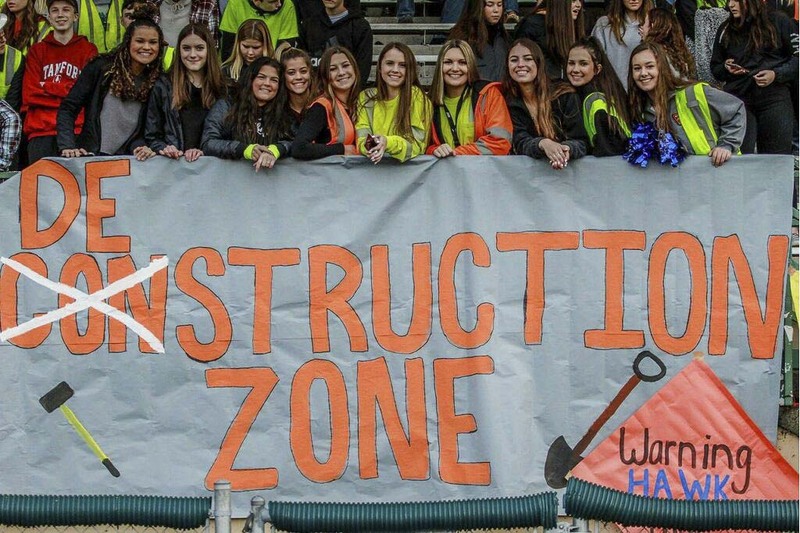 The Hockinson student section went with a Destruction Zone theme for the Hawks’ semifinal football game. Brandi Webb, a junior, designs most of the posters, and Stephen Weinmuller, a senior, is one of the spirit leaders for the school. At Hockinson, it is not just a football team, but a football community. Photo courtesy of Jenny Ristau. Brandi Webb, a junior, is a little bit ahead of her time. Loud and proud, these Hockinson Hawks. Athletes, coaches, parents, and, of course, the students, make for community pride. Webb also is blessed with good penmanship, so she often designs the run-through posters, the giant signs that the players burst through either before a game or at halftime. Every role in important, after all. A year ago, Lucas Ortner was the senior leader in the crowd as Hockinson football went 14-0 and won the Class 2A state championship. “Everyone loved Lucas. Everyone had so much respect for him,” Weinmuller said. It was Ortner who said Weinmuller had to fill his shoes, take over the crowd this season. A year later, Hockinson is back in the championship game. The Hawks play Lynden at 1 p.m. Saturday in the Tacoma Dome. There is a lot to support, too. The Hawks put Hockinson on the football map last season with that 14-0 season. In the championship game, it appeared every person from Hockinson, plus long-lost relatives, showed up at the Tacoma Dome. This season, the Hawks traveled to play Archbishop Murphy for just a regular-season game on a school night. Still, there were a couple dozen students who traveled the three hours to that game. Now it will be back to the dome. Thousands of Hockinson fans are expected to be there again. “It means a lot knowing everyone is there for each other,” Weinmuller said. While he will continue being a spirit leader for the rest of the school year, he understands football is the biggest event for the community. He knows this is his last huge crowd to lead. That spirit leadership will be passed on to a student who is a year younger. Webb will gladly accept the challenge.